this book, which I highly recommend reading. His message has changed my life for good! Ron Watson is an internationally sought after astrologer, author and media personality. He hosts syndicated radio talk shows across the nation, and his predictions have been featured in newspapers in several countries. Ron has been heard for years throughout California as he hosted live call-in astrology shows from Los Angeles to Boston, from San Francisco to Miami. His talents for gently guiding his listeners to a deeper understanding of their astrological charts and their relationship to Divine Principles are recognized by thousands of devoted listeners. Ron’s syndicated radio program “New Dimensions in Health” has been aired throughout North America for over three decades. Discover hidden mysteries behind the early Christian teachings, suppressed by the Church and shunned by the clergy. This is not a book for the faint of heart who bow to the dogmas, distortions and coercion of organized religions, but it is for those who seek wisdom and knowledge. From Leonardo da Vinci’s sacred geometry and the five-pointed star to the star of Bethlehem, you will uncover the mysteries of the heavens above and the heaven within, while expanding your knowledge of astrology, mythology and psychology. Transform your life. Master the power and magic of the spoken word, light, and the subconscious mind. Secrets hidden for centuries are now uncovered in this astonishing revelation. Order this 1st edition, collectible book here ! What is the purpose of our lives other than the masses of humanity that masticates, eliminates, fornicates propagates and often just vegetates? • Discover the prophesies of Christian Scripture and their Astrological roots and revelations. • Discover what the Christians have repressed and hidden from their members, out of ignorance, or design. • Discover the future unfolding prophesies that will occur in most of our lifetimes. • Discover how to deal with the upcoming upheavals and turmoil that is predicted. • Discover the most potent words you speak and their relevance to your health and well-being. • Discover the power of love to transform your life and your loved ones. • Discover the magic power within you to work miracles each and every day. • Discover what the “Star of the Magi” really was. • Discover how Saturn evolved into the Christian Satan. • Discover how Zeus, Jezeus was the archetype for Jesus. I met Ron Watson through a dear friend of mine and I can not thank her enough! She spoke so highly of him and strongly recommended a session but I dragged my feet because I didn’t really grasp the true meaning of “Astrology”. I thought it was basically what you read in the Sunday papers along with your typical character traits… I was blinded with my limited and naive thinking! I was fortunate enough to spend a weekend with Ron and blessed beyond measure to witness his greatness in action!! His ability to read astrology charts are pin point accurate and will leave you wondering…” How can he see all of this by reading the planets”? This alone is amazing but when accompanied with his physic & intuitive abilities, it’s astonishing!!! He’s the catalyst needed for anyone looking for clarity, direction, spiritual growth and more! My time with Ron was truly a remarkable & profound experience and I have no doubt he will do the same for you! He’s a blessing to humanity! A great, original, and fascinating book, wholeheartedly written by a clear-minded man of faith and insight. It is actually three engrossing and thought provoking book skillfully interwoven and blended into one. Theology, psychology and astrology interacting to encompass man—body and soul—in the universe prepared for him. As an author of a book on Biblical Hebrew Etymology, and an expert on the logic of language, I was pleased to note the author’s keen understanding of the subtle hints and allusions used in the scriptures to deliver its divine, occasionally enigmatic, message. I myself am an expert on the science of words, but only in the technical sense of it. Ron’s psychological treatment of the subject was therefore a revelation to me. He is right, words originate in the depth of the souls, return to deeply impress the speaker and have a profound impact on the listener. It was the word of God that created the world—not an act of the hands but the effect of utterance. This divine power was then induced into mankind. We also were given the gift of building and destroying worlds by the power of the spoken word. Ron convincingly expounds the idea that our vocal expressions, covertly triggered by a knowing mind, engender an animated mechanism that may influence, or is influenced by, our material existence. I am surely going to heed his relevant advice and pay great attention to what my mind and body are inciting me to say or advise me not to say. By the way, how interesting, man is not alone in holding the monopoly on “I AM”. Even Cod, as Ron points out, insists to Moses that: “I AM WHAT I AM”. Thus, AM is far more than mere physical existence. It is being integrated into a far -reaching, nay infinite, cosmic system. I have read the Bible many times over, in its original language and various translations, yet in all these times I never paid great attention to the fateful words of Genesis 1: 14: “And God said, Let there be lights in the firmament of the heaven to divide the day from the night; and let them be for signs, and for seasons, and for days, and years”. What are these SIGNS in heaven? What are they there to signify? First of all, surely they have the capacity, by form, position, aggregation, inclination and brightness to pack and convey a great amount of information. It is a message written in the sky. And it is this possibility hinted at in the first chapter of Genesis that Ron takes as the fountainhead that makes astrology flow from the Biblical source. Above all, in order to perceive and comprehend the nature and significance of the communications being signaled obviously or secretively, one needs a spiritual basis of faith—this elusive, yet penetrating insight capacity, to discern the true nature of what happens around us, that which psychologists call a proper presence of mind. Then came other stars to attract the attention of the properly attuned, and other momentous events. 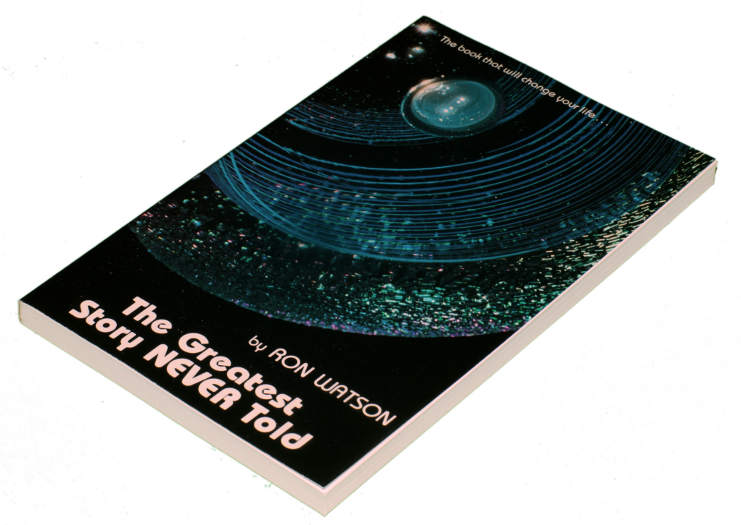 Life, on the personal as well as on the global scale, says Ron, flows according to the heavenly charts. I will not, and indeed need not, go here into greater detail of Ron’s surprisingly articulate presentation of these subjects. The reader will get all the benefit and pleasure due him by reading this book, which I highly recommend reading. Admittedly, It is not for superficial reading. It is very well and lucidly written, yet is packed with ideas and insights ranging from the spiritual to the physical, requiring unrelenting concentration, but it is certainly worth the effort. (a) His masterful way in explaining how our words can hurt us. Most expressions, taken for granted and used unthinkingly, can be negative affirmations that can lead to bad health. Words have power, and Watson explains this extremely well. 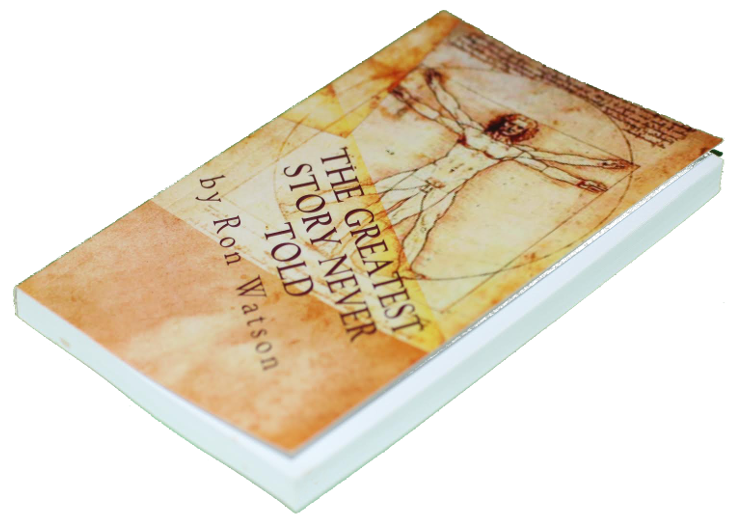 (b) Watson has collected the highest number of relevant quotations from the Bible showing how all of the ancient prophets were, in fact, “astrologers”, who knew about the Great Ages (“sidereal years”) and how they affect us. (c) Watson’s explanation of the advent of the AQUARIAN AGE from the Book of’ Revelation has been a major eye-opener to me. I wish 1 had written the chapter of the book’ in which he deals with this subject. which was in the shape of a PENTAGRAM, the Pentagram of Christ (as opposed to the inverted pentagram of Peter, or the negative forces of human consciousness. (e) Watson gives a clear and convincing outline of the signs, their meanings, for the beginner in astrology. The book is easy to read, well laid out, and if you read it carefully, will leave you with great excitement and a lot of questions that need further research. It is an invitation to think along similar lines. The major conclusion, to me, is this: We must periodically re-interpret the Bible in order to understand it ourselves in the spirit of the most advanced consciousness possible of the given age we live in.